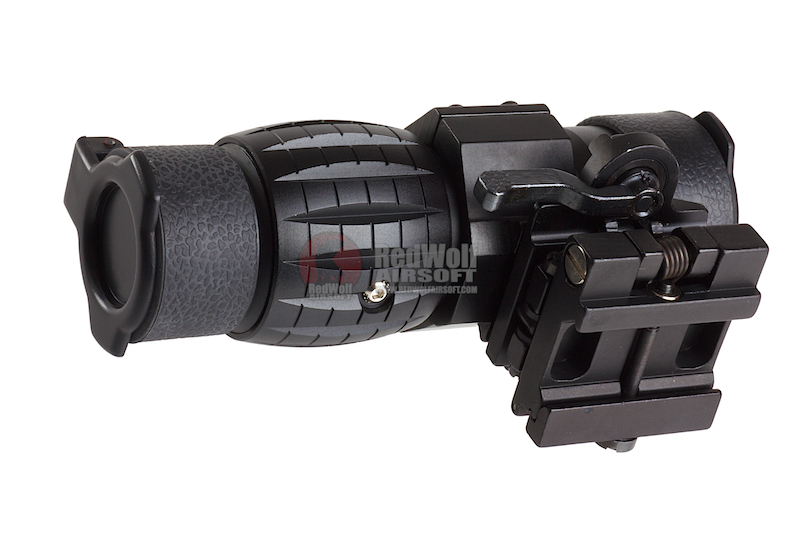 AIM's 4X FXD Magnifier comes in BK or DE and attaches to a standard accessory rail via a QD throw lever bracket for easy attachment and removal. 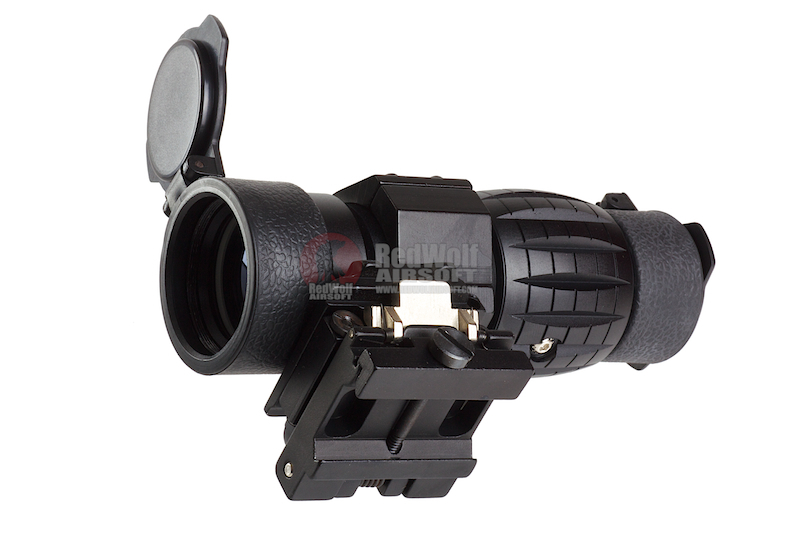 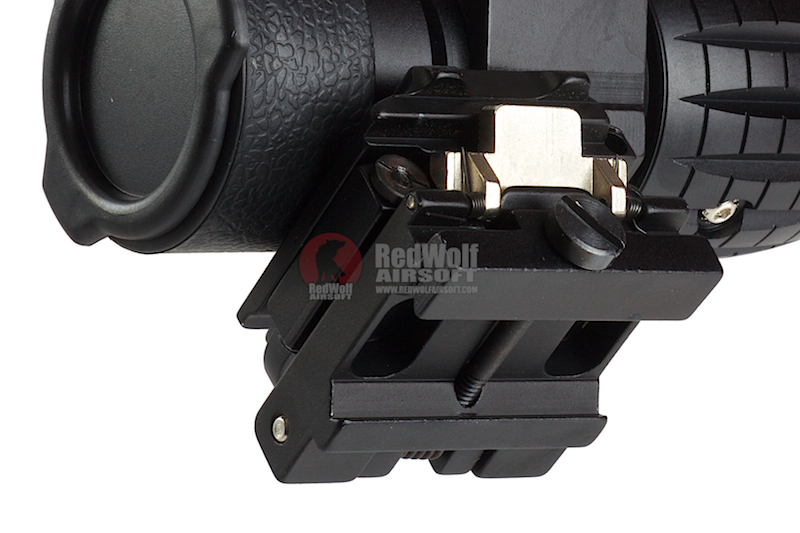 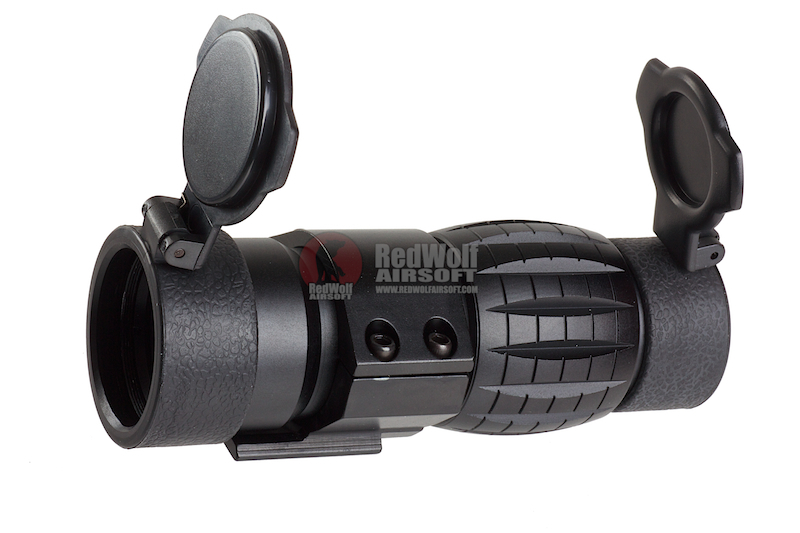 This unit is designed to add a 4X fixed zoom magnification to work in tandem with your standard red dot sight. 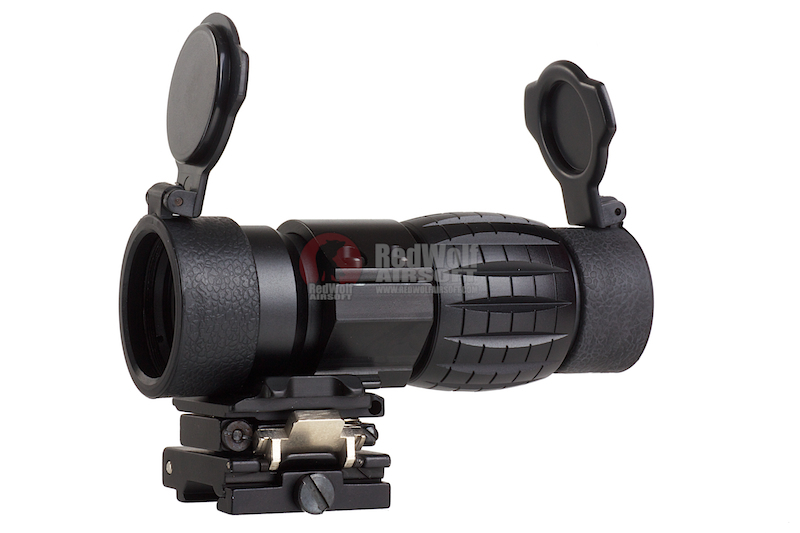 This magnifier as a quick side-sweeping spring loaded action so you can switch back to just your normal red dot at the touch of a button. 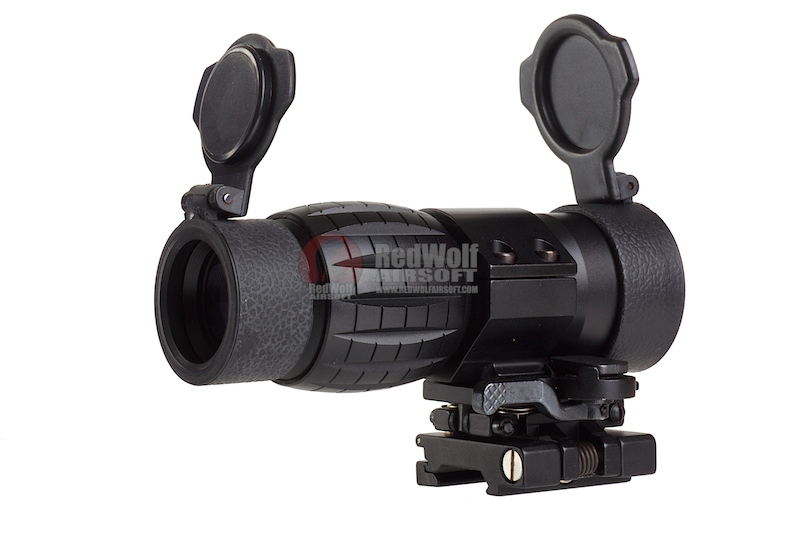 However it does set your rifle off balance but allows you to maintain the same scope setting and view at range with the 4x zoom but then drop to no zoom should closer targets present themselves.